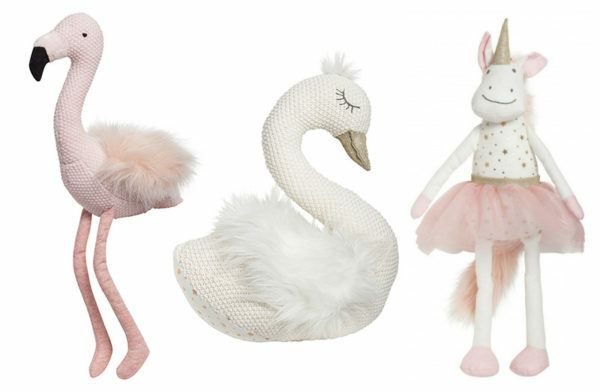 Lily and George soft toys - lions, unicorns and flamingos, oh my! If there’s something I love to buy littlies, it’s a soft toy and for the softest (and sweetest) of toys, Lily and George characters aren’t to be missed. Residing in Lily and George’s fictional Mallow Castle is Lancelot Lion along with his friends Celeste Unicorn, Florence the Pink Flamingo, Sylvie Swan. These adorable soft toys with their waffle knit bodies, fluffy hair, sparkly crowns and tutus make each one a tactile dream for children to play with. Priced from NZ$35, you can find Lancelot Lion and all of his friends at Shut The Front Door!. Delivery to Australia is available.